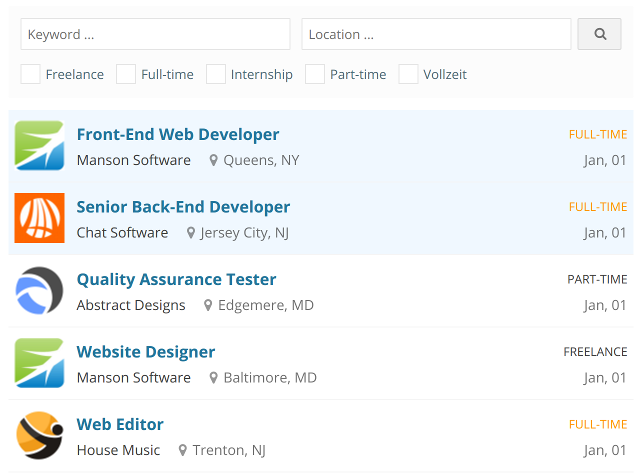 We just released WPJobBoard 5.0 and Jobeleon 1.5.0 with Google Jobs integration. The update notification should be visible in your wp-admin panel within 24 hours. If you cannot find it go to wp-admin / Dashboard / Updates and click “Check Again” that should do it. The focus of this release was on removing old Embedded mode to significantly improve WPJB speed in the front-end. We were able to do that, although we do not have any comparisons or stats yet, they will be available soon. Probably in a blog posting. The focus of this release was on the performance but in the mean time, Google released Google Jobs API. This is a huge change and we needed to make sure WPJB will be 100% compatible with it in order to stay relevant for the next years to come. 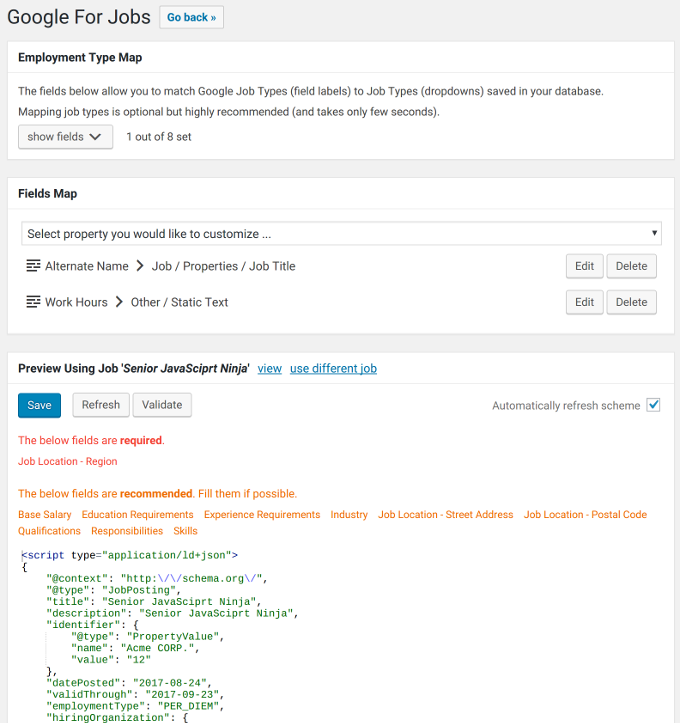 It allows mapping Job Types overwriting the default settings using drag and drop editor, previewing changes and validating the generated snippet. More information about this feature you will find in WPJB Google Jobs documentation. If you would like to see how do the details pages look like you can see on the demo site. We are also releasing code snippets to our GitHub snippets library to allow you quickly customize the job board layout without modifying the original source code. New Employer Notification – This message is sent to the Administrator when new Employer registers using [wpjb_employer_register] shortcode. New Candidate Notification – Similarly as above the notification is sent to the Administrator when Candidate registers using [wpjb_candidate_register] shortcode. Candidate Contact Email – This email template is used when Employer tries to contact Candidate by sending an email from Candidate details page. When importing jobs via API in version 4.5.1 and older WPJB returned the only XML with status, so the import result could be either 1 or 0. In version 5.0 there are more detailed logs for each imported item. How the response look like you can see in the update XML Import documentation. This release might break compatibility with some of the old code snippets, before updating it is recommended to disable all snippets in your theme functions.php file. That is if you have any snippets at all. After upgrading WPJB you can enable them back, if this will cause any errors please let us know. The full list of added, edited and deleted files you can download here.